Do you know the moment, you like a band and their live shows and could never expect they can do even better? 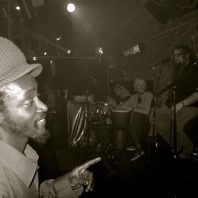 That night was one of this unique situations, where everybody who was part of it got witness in Roots/Reggae music history. As soon as we arrived, the club got plenty of people inside, getting more with every minute. 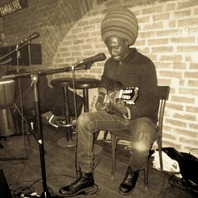 The warm-up was preluded by Karim Thiam Tama, followed by the first acoustic session performed by Souldja ever. It got clear how high the whole band praises music, it was not even possible to look at the show without smiling from ear to ear. Even if the stage got his challenges, Souldja managed to deliver a unique set full of joy, love and rootical vibes. The audience had a little break after the show to come back again from a trip of holy music, and crowded the saloon as soon as Meta Dia entered stage with his acoustic guitar and a big smile. Again all visitors enjoyed an exceptional show. You were able to feel the unconditional love between each other and the musical vibes from the first beginning of the show. The biggest surprise was the combination of Meta Dia with Souldja. 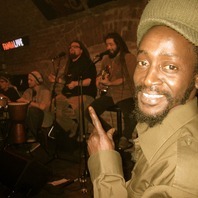 I have never heard any Jamsession which was such emotional and full of love. The musicians were able to feel the beat threw their whole body and complemented each other like they were playing together since several years. 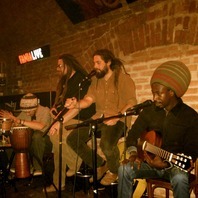 The situation got even more heart-warming with the band incorporating the entirely audience into their improvised songs. Even if some local singers entered stage without getting asked, the band was backing everybody naturalness and with great pleasure. To put it in a nutshell, I am still thankful for the love I felt and an evening with music which took its way directly into my heart. 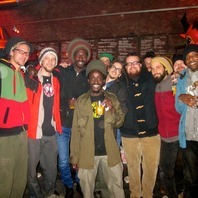 Big up Meta Dia, Souldja and thanks to the organiser DJ Taff for this booking.